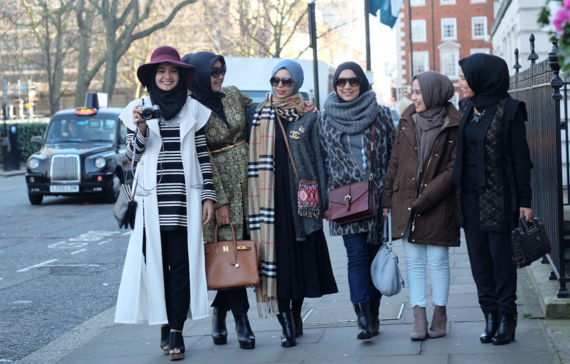 UK: Modest Fashion or Fashioning Modesty? You are here: Home » Related Topics » Branding & Marketing » UK: Modest Fashion or Fashioning Modesty? 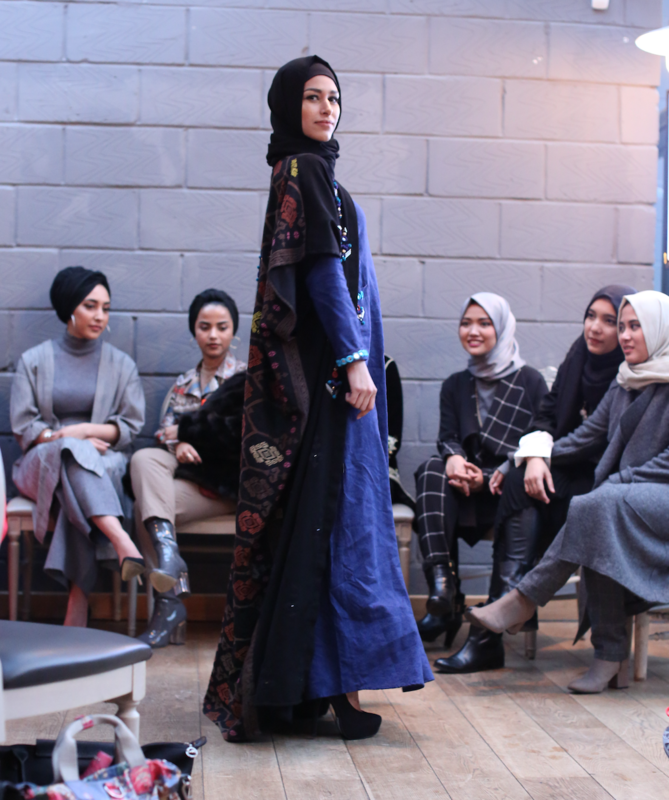 This week, Indonesian brand and e-commerce platform HijUp made an appearance at London Fashion Week. Early in 2015 they took venture funding between $US1 million and $US10 million from a pool of global investors. 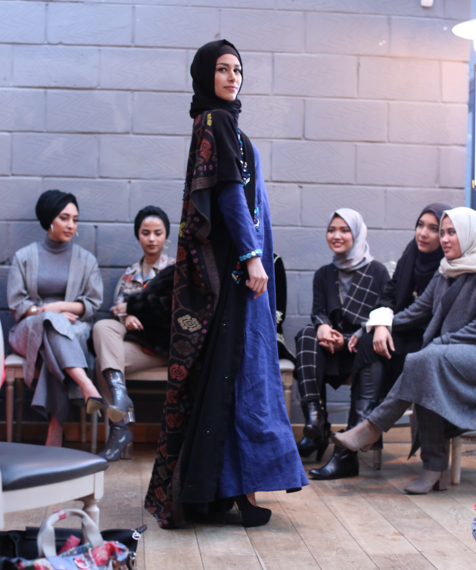 In the International Fashion Showcase section, HijUp presented the work of four designers – Zaskia Sungkar, Jenahara Nasution, Restu Anggraini, and Dian Pelangi under the theme of ‘Beauty and Creativity through the Elements of Life’: wind, light, water, and fire. We all understand that fashion means much more than practical clothing functionality – and it’s more about clothes serving the functional purpose of providing emotional connections, messaging, symbolism, culture and experiences that define us as being human. For many, the term ‘Modest Fashion’ may seem like an oxymoron. I mean, isn’t the whole idea of being ‘fashionable’ driven by a desire to celebrate being seen with the right look amongst the in-crowd, having that recognized and ratified, and which then leads to the accrual of a form of social currency? Is it possible to be modest in the pursuit of being fashionable? Or should we take modest in this context, by definition, as fashion that covers flesh? Is the inference then that covering one’s modesty (flesh) evokes something any less sultry or alluring; and if it isn’t doing that, does that detract from the essence of being modest? These are some of the debates that I’ve had and read about surrounding the whole Muslim Modest Fashion movement. If you’re one of the in-crowd, then these questions matter little – because there is no conflict, it is simply free honest expression. Personally, I don’t like the term modest fashion. 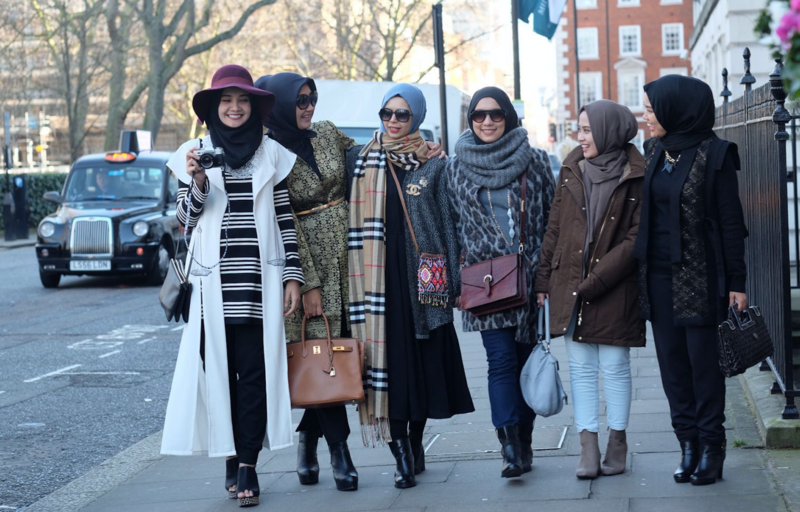 I prefer the term Hijabers that sprung from a movement in Indonesia, of Muslim females who wanted to create their own form of expression – through the clothes that they wear, which signaled their own state of mind and worldview. This makes them no different than the Hip-hop, Grunge, Punk, and Goth movements that I found myself swept along with when I was a youth. So ‘modest’ I think is a red herring that opens the back door to politically infused debates with non-Muslims and Muslims about Islam’s role in modern society. In doing so, depending on what camp you’re in, clothes have become the smoking gun or the eye candy for propaganda campaigns in which Muslim women unfortunately are the doe-eyed deers in the spotlight. But the objectification of all women is nothing new. Key questions are who is in control and who benefits from all of this? Let’s focus on the Hijabers grassroots movement who are in control, gaining momentum, wider interest and starting to cross-over. The potential of a brand from an emerging market like Indonesia is massive. Indonesia is made up of over 14,000 islands, has a population of about 255 million people, 205 million of which are Muslim, making it the most populous Muslim-majority country. 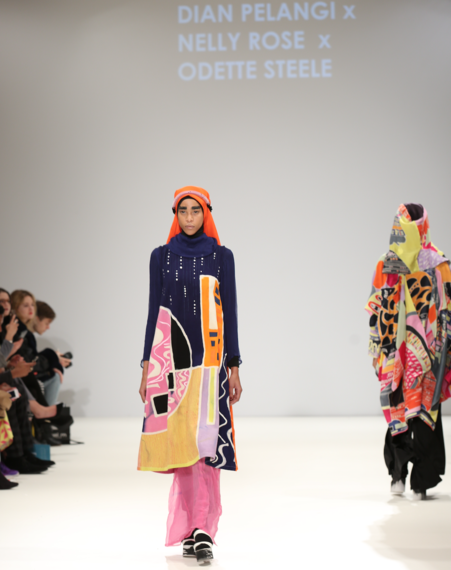 And let’s not forget the 1.7 billion Muslims spread across all continents that share the same faith, which have led to the Muslim fashion market being estimated at $US224 billion worldwide. On my trips to Indonesia I’ve grown to love the scene in cities like Bandung and Jakarta and I think that they have the potential to influence a much wider audience and achieve a similar cult status to those of London, Manchester and Liverpool. 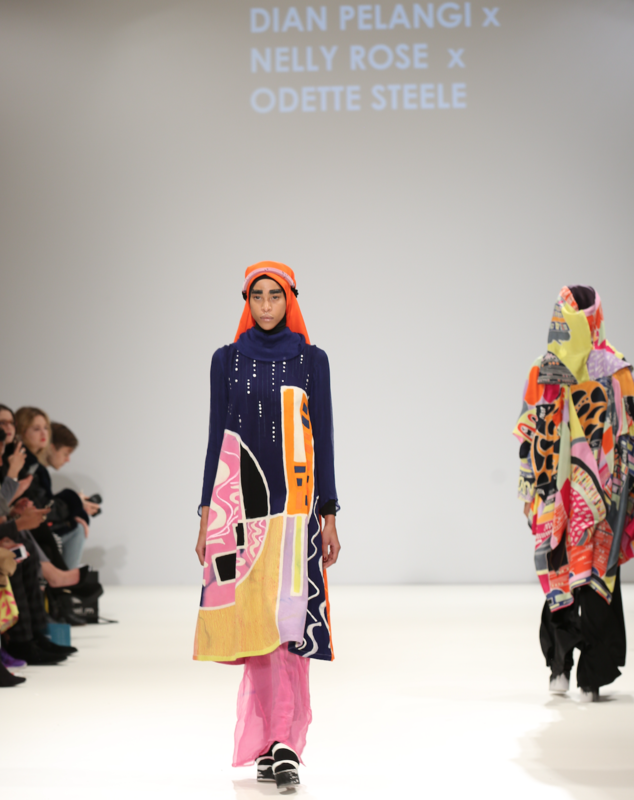 The vibe is there, there’s a live wire of creativity – let’s see if the world is ready for the modest Muslim fashion movement looking to fashion modesty.